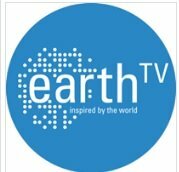 Berlin based earthTV is a digital production company specialized in the capture and storage of images from around the world and producing 300 short programs every day in 10 different languages aired across 30 TV channels based in 20 countries. THE WORLD LIVE is probably one of the most successful formats in the history of television with over 200,000 live shows produced and over 2 million different design and language versions delivered to clients around the globe. earthTV owns a fleet of 40 Full HD cameras operating 24/7 in 26 countries permanently installed at iconic locations around the globe. The cameras are remote controlled via internet and the images stored in the earthTV Camera Cloud. earthTV has developed the revolutionary program " Robotic Showgenerators“ that produce and deliver live and catch up customized programs via earthTV’s "Broadcast Playout Servers"